How to integrate callback with Google Analytics through Tag Manager? 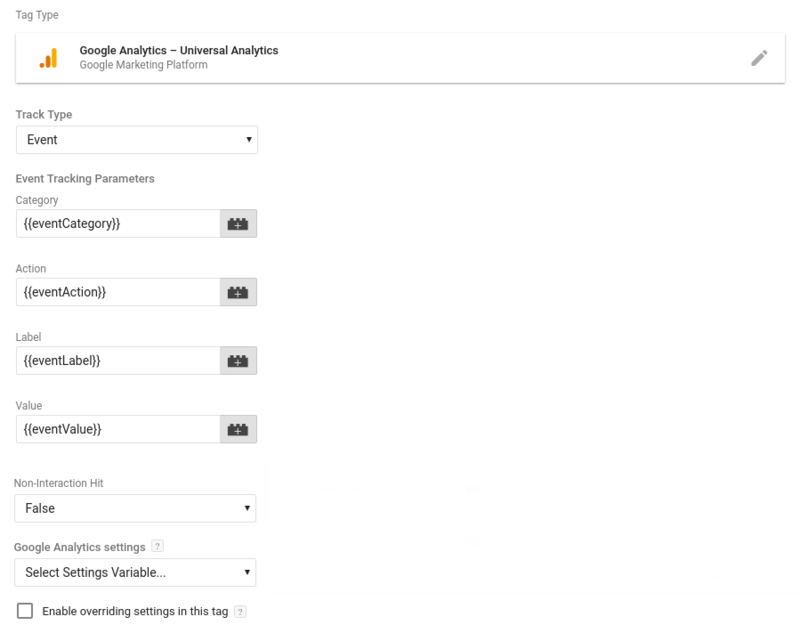 In order for Google Analytics to collect data from the callback service, apply additional settings in Tag Manager. In the work area, go the "Tags" and add a new one. 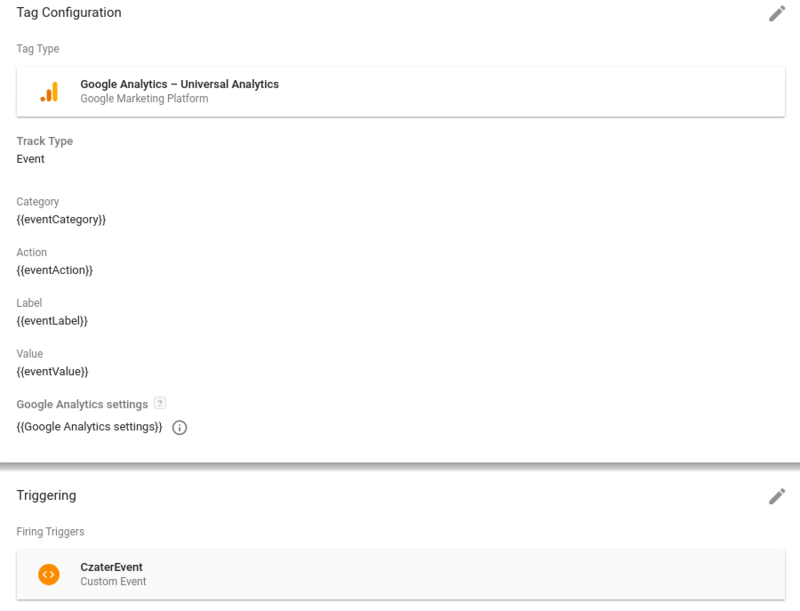 Then, click "Configure tile" and choose "Google Analytics - Universal Analytics" from the menu on the right. Set "Event" as the type of following. 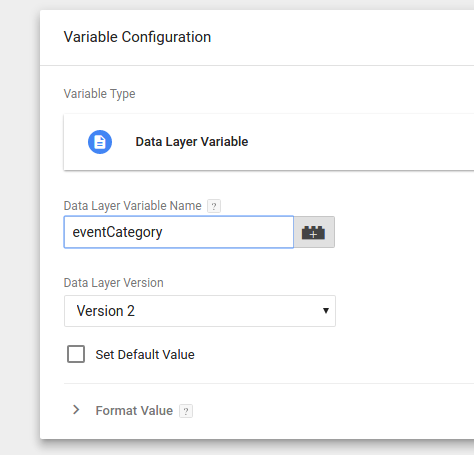 In the "Google Analytics Settings" field, choose your variable with an additional follow identifier or create a new one and specify the identifier there (cookie file domain: auto). Fill out "Event following parameters" in the next step (category, action, label and value). It is added by clicking the "block with plus sign". and choosing the blue plus sign from the top right corner. Then, click the tile and select "Variable of data layer" from the menu on the right. Then, save changes. Note: When clicking "save" a window will pop up for changing the variable name. Enter the same name, i.e. eventCategory, eventAction, etc. The configuration is complete. Another tile can be seen under this tile, called "Rules". After clicking it, add a new rule with a blue plus sign and choose "Non-standard events" from the list on the right (section: Other). 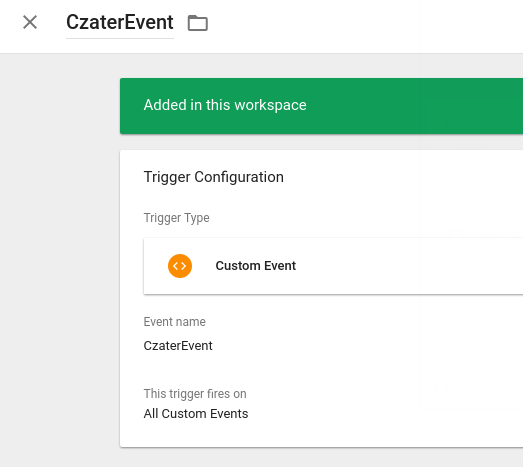 Specify "ChaterEvent" as the name and mark "All non-standard events", and then save them under the same name. Now you can publish changes.